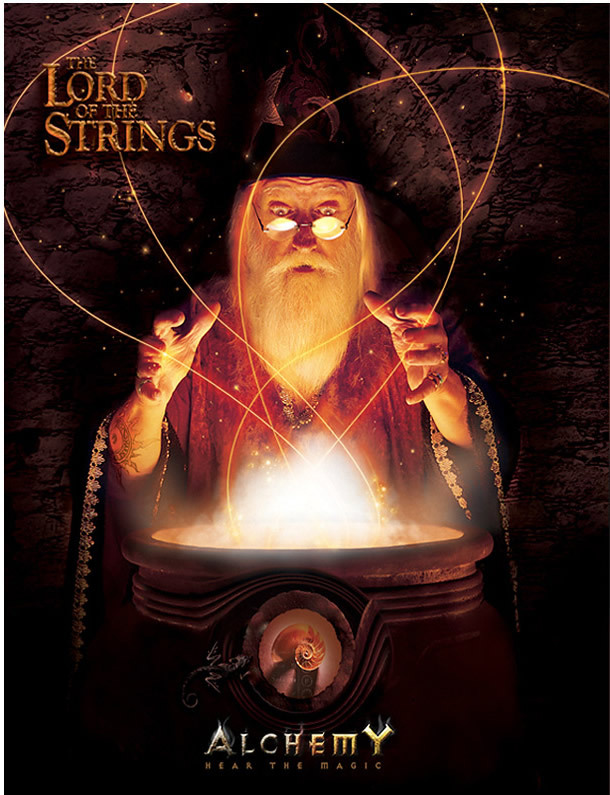 This ad extends the theme of Alchemy: The miraculous power of transmuting something common into something precious. Much of the ad was carefully composited but the magnificent beard, however, is the real deal. The ad appeared in major guitar magazines.